Who’s the coolest person in Bloomington? Today, at least, it’s Nate Powell. 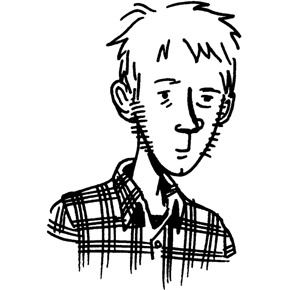 The noted cartoonist and author of numerous top-selling graphic novels is grilled, pierced, gutted, and otherwise questioned online by the majordomo of this communications colossus in the new interview series Big Talk. Big Talk, long-time readers of this series of shrieks already know, is the shiny new monthly run of colloquys co-sponsored by The Ryder magazine, WFHB radio, and, natch, The Electron Pencil. The whole shebang had a soft kick-off in mid-January with the first airing on ‘FHB’s Daily Local News of my interview with the author/drawer of March: Book One, Any Empire, The Silence of Our Friends, and others. As in any new endeavor attempted by creative types, getting this thing synched up has been about as efficient as the wrangling of a houseful of cats by a blind man, so the other shoe part of interview No. 1 finally hits the interwebs today. We’ve already run a second interview with poet extraordinaire Tony Brewer on WFHB, with his print chat set to hit the streets in the April edition of The Ryder, due out soonly. Slowly but surely we’ll get our radio, print, and online skeds to jibe, so keep your shirts on while we pretend we know what we’re doing. To refresh, the whole idea is for me to find fascinating Bloomington characters and shine the harsh light upon them, sans the blackjack and the telephone book treatment. Honest, I try to treat my victi…, er, subjects nicely. We want to learn about B-Town’s cools, not gawk at their lifeless bodies. The resultant interviews will find their way to your ears and eyes via an 8-minute feature segment on WFHB’s Daily Local News, a much longer discussion in that month’s hard-copy Ryder, and then a web redux on The Ryder‘s site. Natch, all links will be accessible here, thanks to our (duh) Big Talk page. So, unless you want to be the most square square in this Indiana college town, listen to the Daily Local News, read The Ryder when it hits your local merchants and street newsboxes, and, well, read it again when each month’s issue comes out online. And, of course, you have to read The Pencil every single day. No misses, No excuses. What — you want your neighbors to think you’re out of it? Oh, before I forget: Feel free to suggest people you’d like to see interviewed by me. I’ve already got a long list of potential subjects. Hard as it may be to believe, I might have missed someone of note, so I’m leaning on you, hep Pencillista, to help me out. Send in your suggestions via the comments section in these posts or at glabagogo@gmail.com. Do your part, savvy? It takes a village. Alright, I’ll admit it. I’m a human and I sometimes have evil thoughts. Herein, I’ll confess my latest. For a hot minute, I really, really wanted that Nevada rancher flap to devolve into a shootin’ war. Yep. I wanted all those loony militia members converging on the Bundy Ranch as well as the Bundys themselves and their supporters to get the living crap kicked out of them by the Feds. The very notion that these gun-fondlers, Tea Party “patriots,” and miscellaneous survivalists and supremacists should position their dopey stance as a fight for freedom makes me want to retch. The Bundys, pure and simple, are letting their cattle graze on publicly-owned land. They owe us rent. That is all, kids. And they want to fight a war over it? Yeesh. 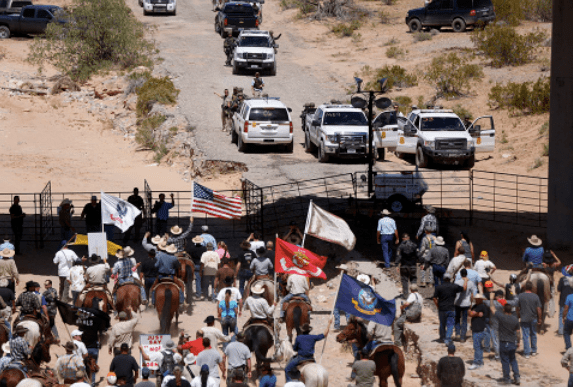 An alarming number of Bundy-ists believe in a twisted interpretation of the Posse Comitatus rule — that is, the only governmental authority they recognize is that of the county. The state of Nevada and the US Gov’t, to these people, are unlawful, tyrannical entities. And don’t buy the line that they are the moral equivalent of the Freedom Riders, Martin Luther King, and Rosa Parks. They’re not. Merely suggesting that they might be comparable to those civil rights activists insults anybody who’s truly risked life and limb for freedom and equality. 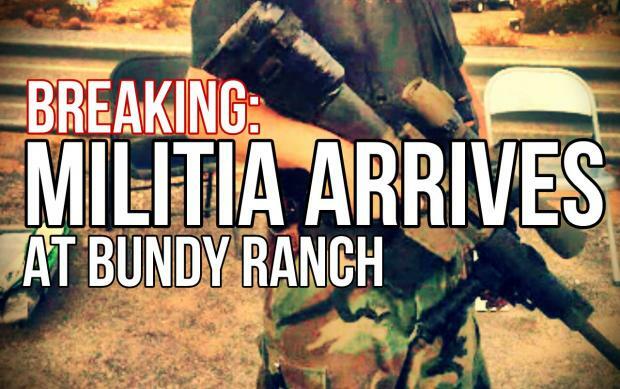 The Bundy-ists said they were prepared to shoot it out with Bureau of Land Management security forces. One of their tactics, it’s been revealed, would be to place unarmed women in the front rank of their picket line so that when and if the Feds started shooting, their sainted womenfolk would take the first slugs. Just imagine if one of the Bundy-ists had squeezed off a shot to start the party rolling. The Feds, of course, would be obligated to fire back and, necessarily, those target dames would be riddled with bullets. And then the Bundy-ists could cry martyr. That mean little part of me wished it would have happened. The devil within me said, Mow ’em all down. Now, my firmly-held believe is that it’s our second thoughts that make us human. My second thought was, Aw, hell, I don’t want to see bloodshed. But for that flash of a moment, I figuratively rubbed my hands together and hoped for the worst. See, that’s the diff. between me and those Bundy-ists. I have a suggestion for Big Talk. How about a conservative Professor? Might not be cool but it would be interesting to see the conservative view expressed intelligently rather than by knuckleheads. I’m with you on the Bundy’s. The other ranchers have been paying range fees, so should the Bundy’s. It does seem the Feds could have worked through the courts as opposed to taking the cattle though. The net effect though is another embarrassment for my team. Congrats on the interview gig. Sounds like a big plus for the Bloomtown cool vibe. people, places and things makes me extremely jealous of places that are compactly cool. As to the Bundy clan, where’s Al? Oh yeah, he moved on to “Modern Family”, another LCD w/ OCD production. We desperately need a better understanding of mental health issues from coast to coast, but nowhere more desperately than the open ranges and hollers of RS Amurca. There’s more than enough anger and hostility to go around without deliberately manufacturing more. We’re up against it for sure. When TSHTF, which seems more likely with every passing faux outrage, our fate will rely on our common sanity. How these and other national security issues fester while swaths of our national media add accelerants will result in ashes. Inconceivable? We’ve both seen it before. Sanity has prevailed so far, but it’s not a sure thing.